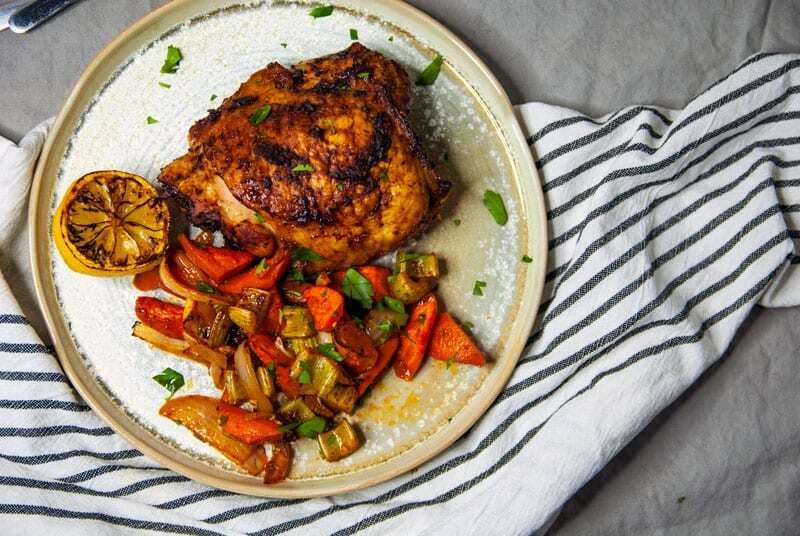 This harissa chicken thighs and roasted veggies recipe is the sheet-pan meal you never knew you were missing. Seriously, this meal is the perfect way to dress up boring old chicken. You may be wondering what harissa is. Well, I’m soooo glad you asked. It can be a spice, paste, marinade, etc… And it’s spicy. Which hello, people of the world! Welcome to The Seasonal Junkie, please expect to spice up your life while your here. Thank you very much! If you are looking into a harissa recipe be sure to research North African cuisine. My harissa recipe is probably not the most traditional way to make harissa because I added random peppers like chipotle, but it is still very delicious. I used a variety of dried chili, olive oil, garlic, lemon juice, smoked paprika, coriander, cumin, and caraway. 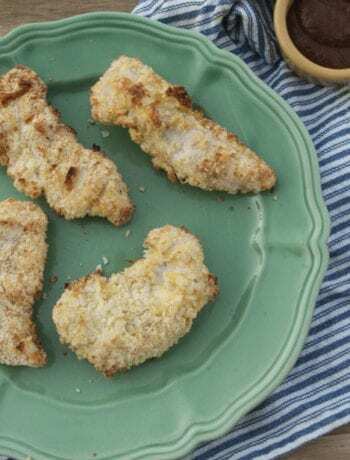 I adapted from this recipe from Feasting at Home! The result? A spicy little paste that set my soul on fire. 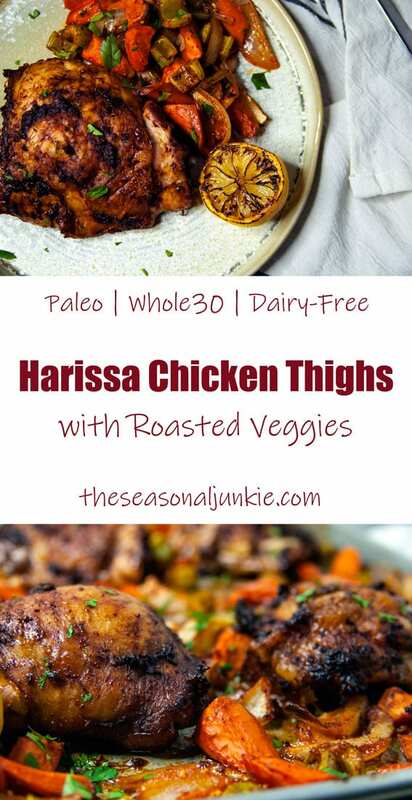 Anywho, if you are feeling like making your own harissa recipe might be a little too much for your weeknight harissa chicken thighs with roasted veggies, have no fear. Most stores carry it. I know FOR SURE Trader Joe’s does, so check it out! Want another Whole30/Paleo Chicken Recipe, Check out these Cashew Chicken Wraps! AND THENNN, As most of you know that follow along with me, I recently changed up the way I was eating. 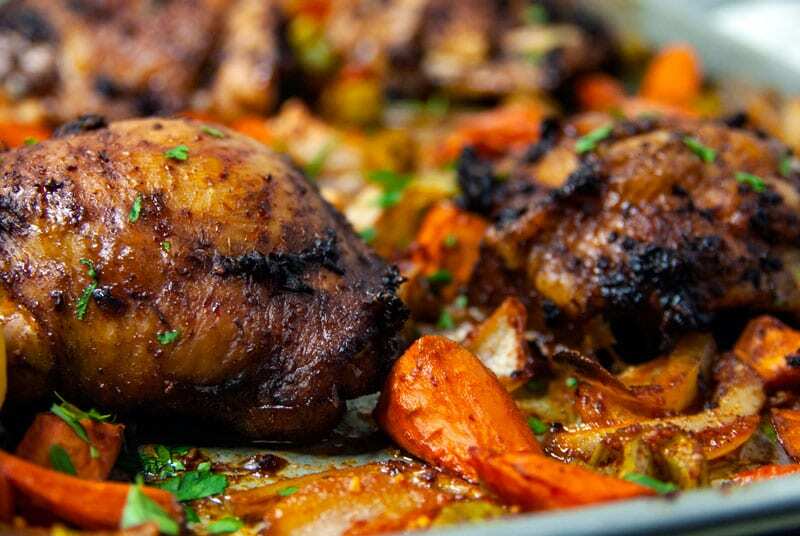 Not only is my harissa chicken thighs with roasted veggies so easy to make…. Literally; marinate your meat, throw everything on one sheet pan. Bada-boom-bada-bing, you’re singing sweet tunes of harissa chicken thighs. But, that is not all my people…. 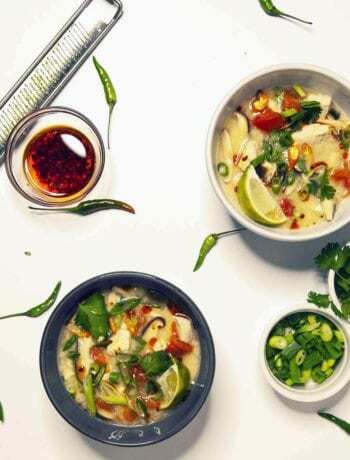 This recipe is also super healthy. 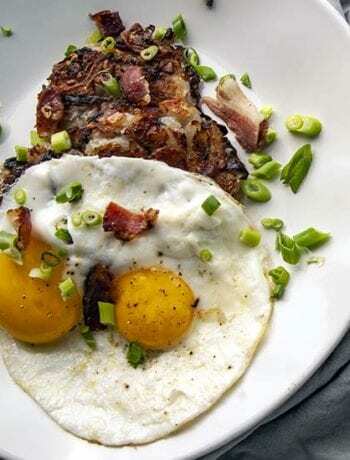 For the time being, my recipes are going to be geared towards paleo and a Whole30 crowd. 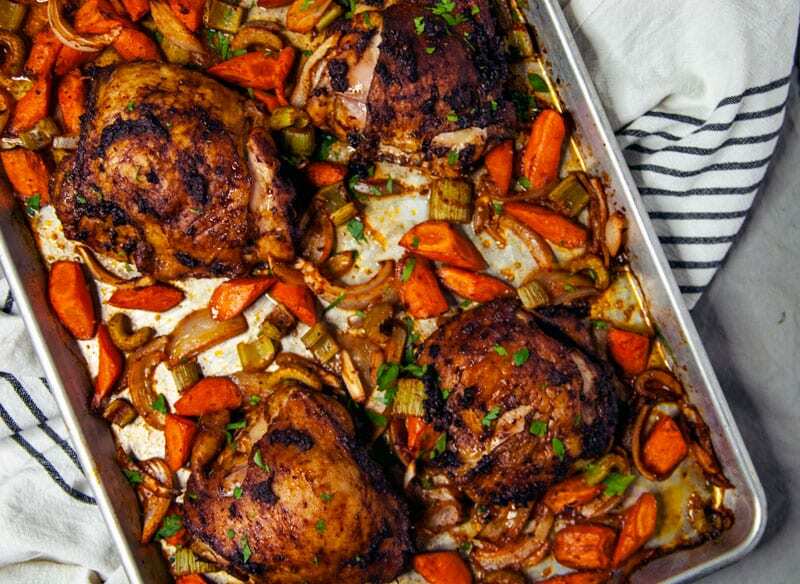 Which my harissa chicken thighs with roasted veggies are both, so eat up friends! Be sure to let me know how this sheet pan meal turned out! Hopefully, this harissa chicken thighs recipe was all you needed for your weekday meal and more.